I have lots to tell you! There is much great stuff coming to LadaRay YT channel, LadaRay.com and LadaRay Patreon! And more great news coming in May! Your comments, shares and likes are welcome, as always! Masaki’s Interview is coming! It’ll be about numerology, and we’ll mention the meanings of different numbers, including Masaki’s interpretation of Putin’s numerology. We’ll also talk about what Master Numbers mean. Further, we’ll talk about Orgone Pyramids and 5G. Az has returned from a business trip and very soon we’ll begin recording and releasing new Earth Shift Podcasts (ESP) and Interviews! We have many cool topics awaiting, ranging from geopolitics to Earth Shift and higher consciousness! To stay on top of what’s coming on the ESP front, please subscribe to LadaRay YT Channel! We plan to have ESP regularly going forward: hopefully once or twice a week! NEW ARTICLES ON LADARAY PATREON! Two BIG & EXCITING ARTICLES coming: open to appropriate member tiers! Forbidden History & Vedic Truth: Why Greece Is Really Called ELLADA? I want to share a telling title of one video on YT: Why Is Hellas/Ellada Called Greece In English? (I can’t vouch for its content’s veracity, but to prove my point we are only interested in one revealing word here: ELLADA.) I’ll tell you more, Greece in Russian is called ‘Gretsia’ and in Spanish ‘Grecia’ – it’s the same word in various languages. So, why is there such a name mismatch? Here’s the answer! It’s called Greece internationally for one simple reason: it was paramount to erase all historic mention of LADA, in order to sever the connection to the real origin and true roots. The same was done in Rome/Italy, and in England, and in Germany, and in Scandinavia, and in Asia. And now the attempt is being made in Ukraine. That is how the low energy of separation, greed, jealousy and denial works every time! To prove my point I went on the Internet and found some images for Greece, by the Greeks. The proof was incredibly easy to obtain – it’s all over the web!.. Saturday, April 27: a super-special MDU/MHAP article you don’t want to miss! It’s spring & we could all benefit from the yummy freshness combined with a gentle & loving detox, so our bodies, minds & spirits could prepare for the new growth & new harvest! I’ll tell you how! I hope you all feel the love that is embedded in this episode of our Multidimensional Healing & Activation Program. Today, I want to talk to you about the very special foods and drinks for the 4th charka, aka, the Heart Energy Vortex. The following EXCITING FEATURED ARTICLES are coming in MAY to LADARAY PATREON! ~ Past-Life Regressions: Do You Really See Your Past Lives? Including the Mystical Chakra of Secrets & Dreams! We’ll also have more on the 4th Chakra, which will be followed by the long-awaited next Healing Chod session! We’ll talk about US Dollar calibrations & its future. We’ll also talk about Chinese Yuan! I promised to talk about Bitcoin, complete with my predictions – that is coming, too. In a few days I’ll announce some of my new social media features. Stay tuned! Visit NEW PAGE ON LADARAY.COM! Thought you’d like to know! Check it out! It’s a bonus for all my followers! 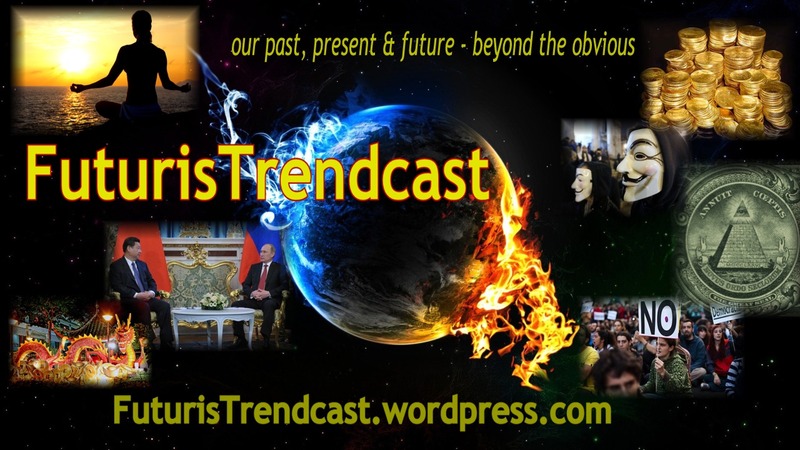 On FuturisTrendcast I’ll continue posting my updates, excerpts and short relevant pieces, plus some positive stuff. Follow and visit it frequently, you never know what kind of interesting bit I might post tomorrow! LADARAY PATREON! Join here so not to miss anything important! My official site LADARAY.COM is where you can find not only freebies, but also lots of my trademark products, such as Earth Shift Webinars, ESRs and Consultations. And don’t forget my NEW BOOK on Amazon.com, or go to Author site for all info and links!